Attorney General Jeff Sessions announced this morning that President Trump is planning to end the program with a delay of six months. Today, Take Action Now is focused entirely on defending the Deferred Action for Childhood Arrivals (DACA) program for immigrant youth. This morning, Attorney General Jeff Sessions announced that President Trump is planning to end the program with a delay of six months, a cruel and cowardly move that ostensibly gives Congress time to act to protect the hundreds of thousands whose ability to work, study, and live their lives in the United States hangs in the balance. We now need all hands on deck to save DACA. Tweet at members of Congress to demand that they take action. Even some Republicans admit that Congress should act to protect recipients of DACA. 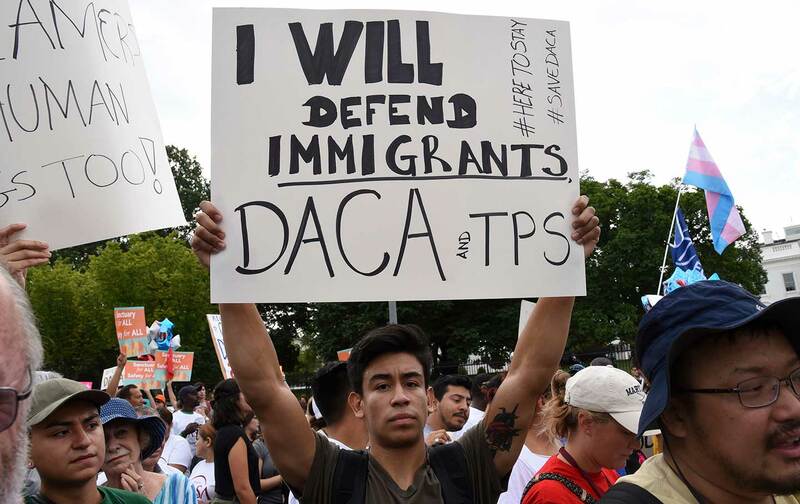 Use this easy-to-use tool to tweet at key members and demand that they pass legislation to ensure that immigrant youth can live and work in the United States without fear. Make at least two phone calls to members of Congress to demand that they take action. First, call your own senators or representative. You can find their information here and a quick explanation, including which legislation to ask them to support, here. Then, use United We Dream’s tool to call one other member who will be key if we want to win this fight. Show up to defend DACA. Already, people across the country are out in the streets, with some even risking arrest. Find an event near you and join them this afternoon or evening, or use Cosecha’s guide to organize your own action in the future.